Xiaomi’s Yeelight smart nightlight costs Rs 1,870 on Amazon India, but you can get it for as low as Rs 830. The Sonoff smart switch is priced at Rs 2,799, but how about paying just Rs 1,245 for it? The Orvibo Magic Cube universal remote that sells for Rs 2,900 on Indian e-commerce websites can be yours for Rs 1,600. Sounds unbelievable? As long as you’re prepared to wait a little longer for your order to arrive, you can get quite a few gadgets and accessories for nearly half the price they sell for in India. The trick? Knowing where to order from. You’re probably thinking all those cheap gadgets are fake, and while you might be right to some extent, there are a few reputed websites you can safely order from. These websites ship to India and have various checks in place to ensure returns and refunds. There are a few things you need to keep in mind before making a purchase though. 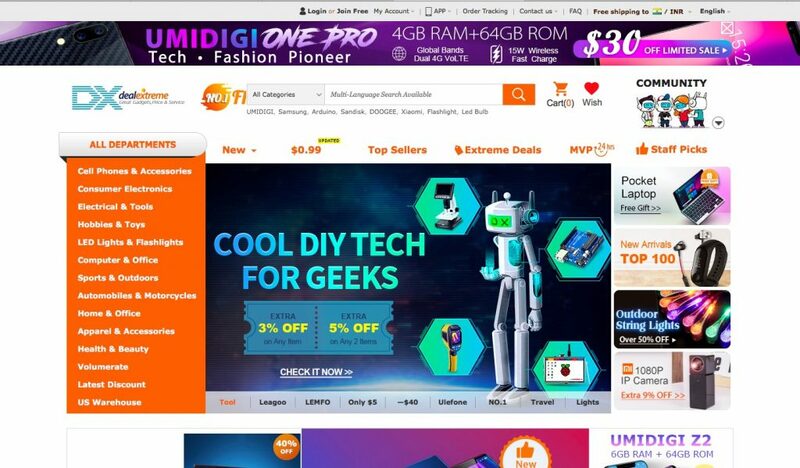 When buying gadgets online from these websites, it’s always better to restrict your purchases to cheaper ones. Worth mentioning that the websites we’ve listed ship the products from China. While many websites offer a warranty, you’ll need to ship the product back for any repairs. Additionally, high-value items like laptops might get damaged in shipping, and attract high customs duties to boot. Buying a smartphone from China isn’t a good idea either, unless you can ensure that it comes with Google Play services (which is blocked in China) and an English interface. Plus there’s always a risk of getting a fake, or attracting customs duties. So what exactly should you buy from these sites? Think chargers, cables, adapters, cases, screen protectors, phone camera lenses, headphones, keyboards, auto accessories, small personal electronics, affordable wearables, gaming controllers, smart lights… you get the drift. When buying any product on these websites, always check the customer reviews and ratings. Just like you’d check before browsing any product on Amazon, ratings will give you a realistic idea of what to expect, and will often include customer photos as well. 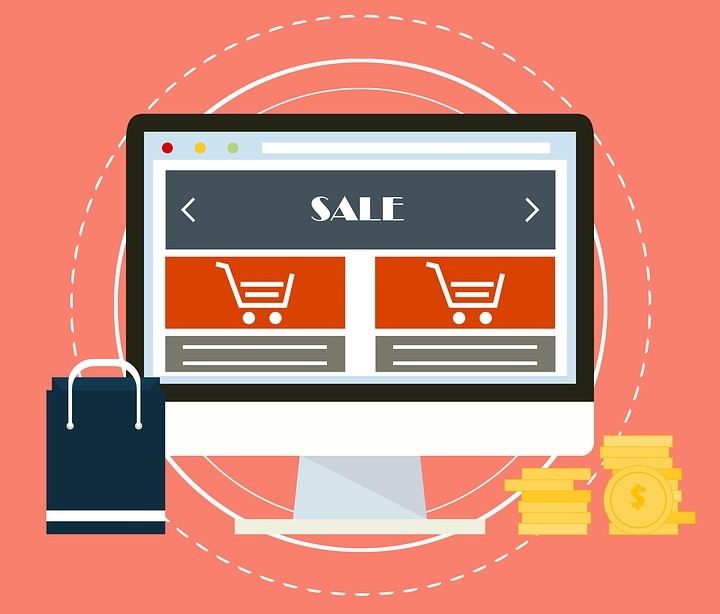 If you spot an interesting product, search for similar options on the same and other websites – you might find one that’s higher rated or better priced. Most of these websites also come with companion apps, which offer even better deals. 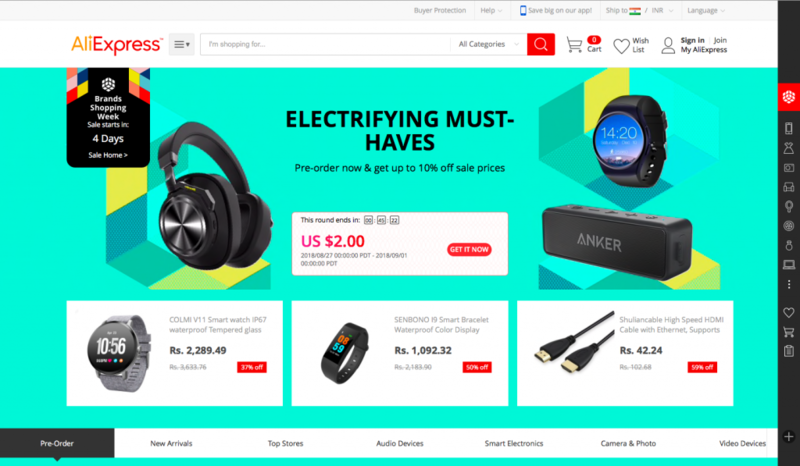 Gearbest has a vast selection of electronics on offer, and stocks notable brands like Xiaomi, Huawei, Lenovoand MSI, among others. Check out the website’s flash sale tab, where you can find great deals, clearance items and a $0.99 section. Gearbest offers a seven day DOA (dead on arrival) guarantee, where you can return or receive a full refund for an item received in non-working condition. It also offers refunds for unopened and unused items within 30 days of receipt, and a 45-day money back guarantee if you receive a faulty item. It also offers a one-year warranty, but you’ll need to ship the product to China for any repairs. In terms of payments, you can pay through PayPal, debit or credit card. Banggood has an extensive catalogue covering pretty much any category you can think of. In terms of gadgets, you can find interesting stuff like a range of RC robots and toys, DIY accessories and more apart from the usual There’s section for flash deals, as well as one products priced at $4.99 or less. The return policy offers 3-day DOA claims, and 90-day returns from the date of shipment (not delivery) for faulty items. For Indian customers, Banggood accepts payments via UPI, netbanking, debit and credit cards, but you’ll need to input your PAN and Aadhaar number for these. Alternatively, you can pay via PayPal. 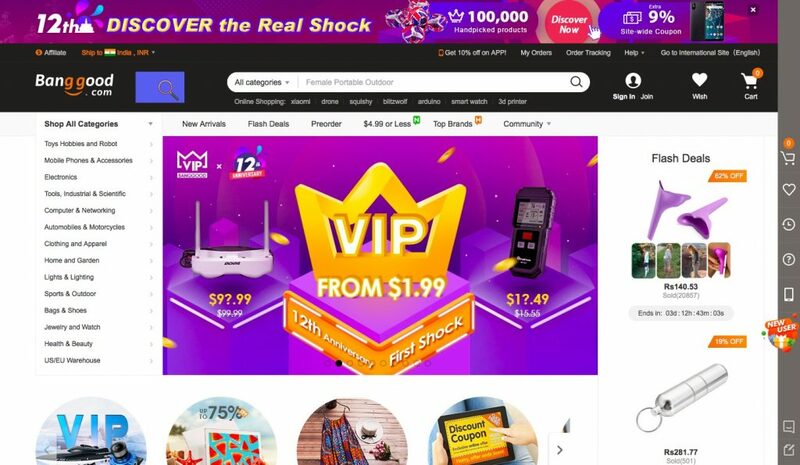 Owned by AliBaba, AliExpress aims to connect Chinese retailers to global markets. It has mini sites for brands like Xiaomi, Huawei, Meizu, DJI, Anker, Yi and ASUS. Keep an eye out for flash deals, sales and coupons. The process of dealing with a faulty item isn’t easy on AliExpress. If the seller doesn’t replace the item or offer a refund, you can open a ‘dispute’ where the seller has five days to respond. If you don’t receive a satisfactory resolution, AliExpress will then escalate the issue. Therefore its advisable not to make any risky or high value purchases on the site. In terms of the payment methods, you can pay via debit or credit card. DX.com or DealExtreme is every tech geek’s paradise. It has an extensive catalogue of gadgets, and an entire section dedicated to DIY stuff, if you’re into that. 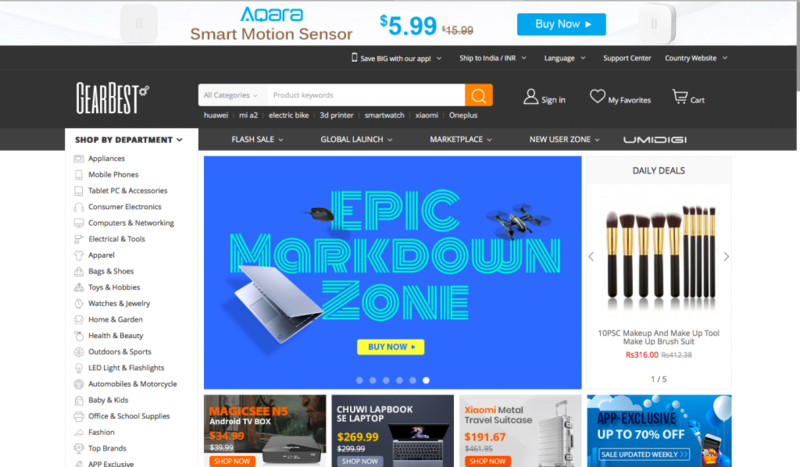 It has a $0.99 section like GearBest, and an ‘MVP’ list which offers popular discounted products that ship within 24 hours. The site offers a 5-day DOA warranty, as well as 90-day defective replacements and 150-day repair warranties. Additionally, it also offers free shipping, which is a big perk. You can pay for orders using debit and credit cards, as well as Paypal. LightInTheBox, like Banggood, has a vast catalogue of products, and electronics and gadgets are worth checking out. Browse through smart home gadgets and auto accessories, as well as personal care electronics and home entertainment devices. 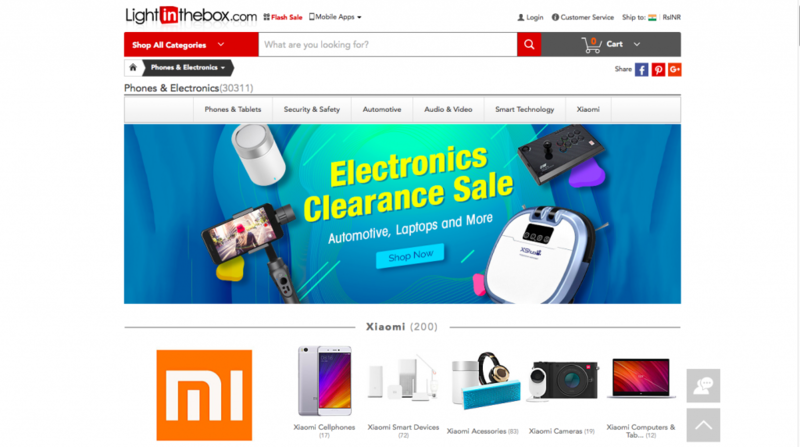 The site also has an entire section dedicated to Xiaomi, where you can find big discounts on most of their products. There’s a 14-day return policy and payments are accepted via Paypal, credit and debit cards.